A report from Vanguard reaches his homeworld of Kalyptus where his uncle, General Thakka, realizes that his nephew is not the irresponsible warrior he had once thought and has done great work on Earth, recording superhuman patterns and maintaining his adopted world’s security. In the other-dimensional realm of Ethra, a villain named Zakorra attempts to seize power and gain incredible power but is opposed by the warriors of Powerhouse, an energy-siphoning device that empowers certain civilians of the planet with incredible abilities. The scheming being is sent to Earth by accident, through the satellite that Modem is imprisoned within. Vanguard heads off into battle after a research station is blown up by Zakorra, who builds his own Powerhouse which threatens both Earth and Ethra. Wally remains behind and watches as Modem breaks free of her satellite prison and flees back to Earth. 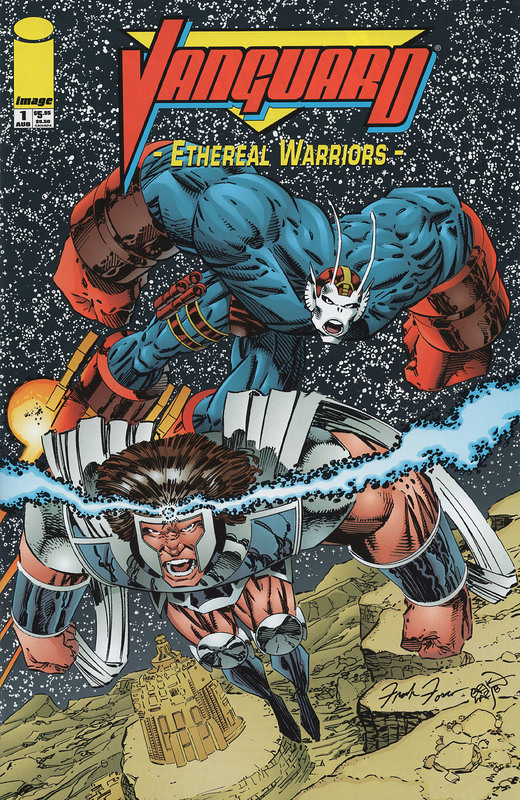 Ethrian, prime warrior of Ethra, travels across the dimensional veil to oppose his main rival. The battle rages on but Vanguard is granted the ability to drain off the energy of the Ethrians by Krell, a man who monitors power levels for the Powerhouse. Zakorra is then defeated in single combat by hs rival once they have been rendered powerless. A portal is opened back up to Ethra but Ethrian is left behind as the satellite explodes, sealing off the rift that allowed the portal to open in the first place. He is forced to remain on Earth without the use of the Powerhouse on his new home, which has been destroyed, but is given information from Wally to help him settle into his new life.